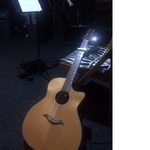 Music Tuition in Liverpool - Book Private Music Lessons Online! Struggling to find local music teachers living in Liverpool? Musician Go is a brand new website that offers the quickest solution to find music teachers living in your area. Quickly refine search results by only showing profiles that meet your specified criteria. Quite simply, it has never been easier to find a music tutor to learn to sing or play guitar, piano, drums, woodwind or brass. 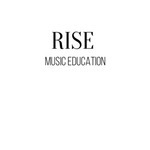 You can even book music lessons directly on our website! Teachers have the option to add videos and audio recordings to their personalised profile, making it easy for potential students to assess their suitability before buying lessons. Our in-built messaging centre offers a quick, direct communication tool to further streamline the process of finding your next music teacher. Musician Go aims to help all musicians looking to find a tutor to take them to the next level, regardless of what musical instrument they play or their level of experience and ability. It only takes a few minutes for teachers to sign up to Musician Go and recruit new students! Create your free profile here. 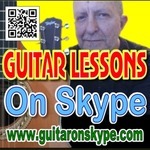 Guitar Lessons in Preston and via Skype. Students learn skills and their favourite tunes as they become guitar prodigies. FREE trial lesson for all new starters. Piano with Passion– Piano Lessons for Kids and Adults in Manchester M3. Piano lessons full of passion with a qualified - but also very patient - teacher in Manchester.